Start taking classes at Pilates Bodies & Barre and other studios! The Beyond Barre - HIIT result: a true total-body workout unlike ANY other in Austin! High Intensity Interval Training + Beyond Barre! The 55-minute session consists of: ballet-inspired barre work to build long, lean legs and lift and tighten the glutesfree weights & resistance bands for upper-body sculptinga stomach-flattening abdominal series (hello six-pack abs)our exclusive Glide Board for cardio intervals to burn calories and blast the fat!HIIT - High Intensity Interval Training allows for optimal fat burn and calorie burn that lasts for up to 24-36 hours AFTER class is over! No matter what kind of shape you’re in, whether you loathe exercise, or work out seven days a week, our workouts will change your body.. And best of all, you’ll have a great time doing it. Promise! REQUIRED: non-stick, non-cotton Injinji Socks or Ultra Sport ToeSox (available at studio for $20) Classes are limited to 10 participants, offering more personalized attention and a friendly environment. Reservations are encouraged to ensure your spot in a class. The studio has a 24-hour cancellation policy. 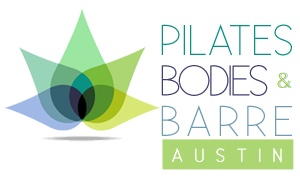 Pilates Bodies & Barre is the only certified Beyond Barre studio in Austin, specializing in classical Pilates & cardio barre! There are no upcoming “Beyond Barre - HIIT” classes on this day. Grip socks are REQUIRED for Pilates classes. Grip socks can be purchased at the studio for $20. Injinji socks or toe sox ultrasport are REQUIRED for Barre and Barre Bootcamp classes. Injinji socks can be purchased at the studio for $25. PLEASE NOTE: You will not be admitted into class if you do not have the proper socks. Located off 360 in the Westlake Village shopping center, smack dab in the middle of Gold's Gym and Kerbey Lane!